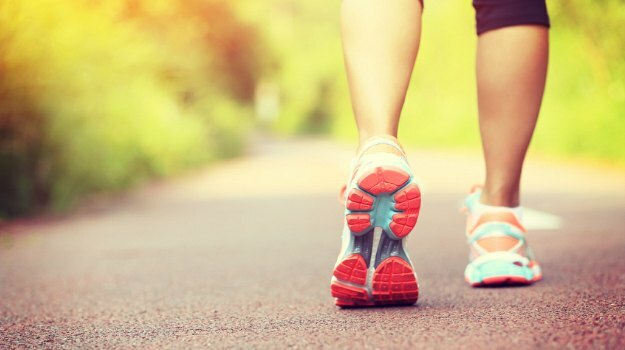 Do our steps count if we aren’t wearing our pedometer or Fitbit device? At first we were sold on counting our steps, trying to get 10,000 each day. That’s a little over four and half miles. We clipped pedometers to our shoes or belts and took off. Corporations added pedometers and step tracking to their health incentives for employees. That’s kinda fun to have the camaraderie of your co-workers to help achieve the goal. Then the devices or apps on our phones began to track heart rate, pulse and even blood pressure. Again, not bad to do, but are we becoming over sensitized to every uneven beat of our hearts and every elevated moment of our pulse? Our bodies were fearfully and wonderfully created. In the course of a day our physiological systems are constantly adjusting to its environment. We eat and it begins to metabolize the nutrients and throw off the waste. We get hot and our bodies sweat. We walk outside and our eyes adjust to the sun. The tracking devices have made us more aware of getting up and moving more often. I am guilty of sitting for too long a period of time during the day. I can sit down to work and get so caught up that I don’t get up for several hours. So there is certainly a place for prompting us to live healthier lives. What happens when we forget to wear our device or turn on the app? All of a sudden all these steps aren’t measured. Do they still count? Did the tree fall and not make a sound? Once again we are getting sucked into a gadget (for better or worse) being our measurement of success. Do you remember the days when runners would go run then come home and drive the course in their cars to see how far they had gone? Our success with our health goals happens whether we measure it or not. Our success comes from just getting up and doing it. After having worn a Fitbit for almost two years, I can guess within ten percent how many steps I’ve taken in a day (or not taken). When it recently broke, it took me a couple of days to figure out I was still walking, taking steps. They still counted. My evening walks still relaxed me. What I miss are the little bursts of color when I’m active for over 30 minutes. Or the buzz vibration it made when I hit 10,000 steps. That was fun. Maybe I can come up with my own little burst of celebration after my walk or workout. So if you see me fist-bump myself or do a little touchdown jig, you’ll know I’m on the move.